When I first got my Google Home, I was so excited that I could control my home with simple voice commands a la Tony Stark. It was like stepping into the future. But then I realized I couldn’t control my lights, change my thermostat settings, or take advantage of the other home automation conveniences that Google Home provides without first getting some smart home gadgets to connect it to. With that in mind, I’ve compiled a list of the best smart products that work with Google Home so you can take control of your home. With Hue, Philips has designed a wireless lighting network for your smart home. All Philips Hue devices allow you to set scenes, change colors, and control your lights from the Philips Hue app—which syncs with your Google Home. You can even use the Hue Disco app to sync Philips Hue devices to music for a fully immersive dance party experience. Here’s a list of Philips Hue smart lights that you can control using your Google Home. The Philips Hue Beyond comes in three variations—ceiling lamp, table lamp, and pendant light—so you can add accent lighting around your home. Its two-tiered lighting design allows you to mix and match over 16 million colors and brightness levels to create any mood lighting you want. If you’re looking for in-home smart lighting and are willing to change out light fixtures for a more modern feel, take a closer look at Philips Hue Beyond. Some might say that the Philips Hue Go is the perfect fusion of future and former technology. 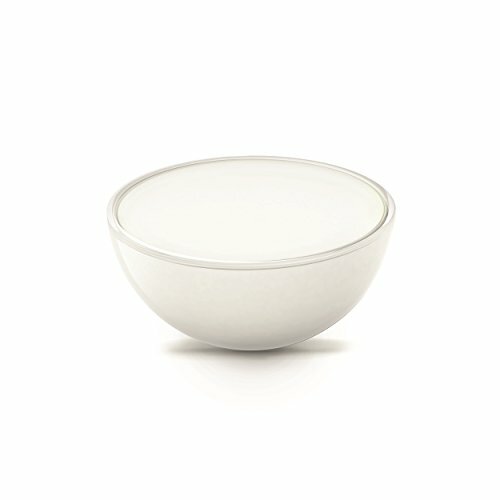 It looks like a glowing cereal bowl that you can carry around like an old-timey lantern. Even though it might look a little strange, the Hue Go brings much-needed versatility and portability to the Hue network, and it runs on battery power. The Hue Lightstrip Plus isn’t an actual lightbulb, but a strip of LEDs that works with the Philips Hue hub. 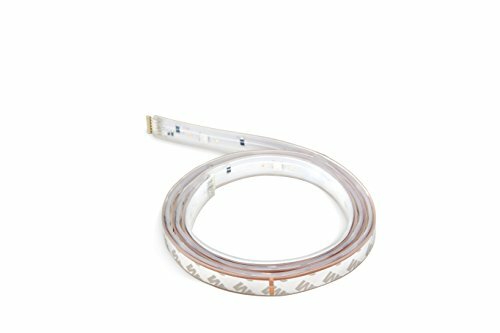 Lightstrip Plus comes with a 3M adhesive strip, so you can install this accent light underneath your kitchen cabinets, along your baseboards, or anywhere else you might want a soft accent light that you can control using your Google Home. 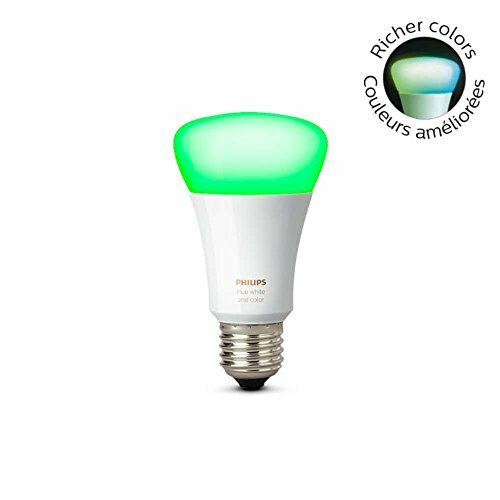 If you’re just looking for a single bulb replacement that you can add to your Hue ecosystem, the Hue White Ambiance will give you adjustable white temperatures. The Hue White Ambiance doesn’t support color changes like the Hue White and Color Bulb, but it’s a great option if you want to adjust your white light temperatures without the added expense of the color-changing version. I use two Philips Hue White and Color bulbs for my outdoor garage lights during the holidays because I can set one to red and the other to green. It’s the easiest holiday decorating I’ve ever done. What makes it better is that I can simply tell my Google Home to turn on the holiday cheer and I don’t have to go out into my cold garage to switch the lights on. 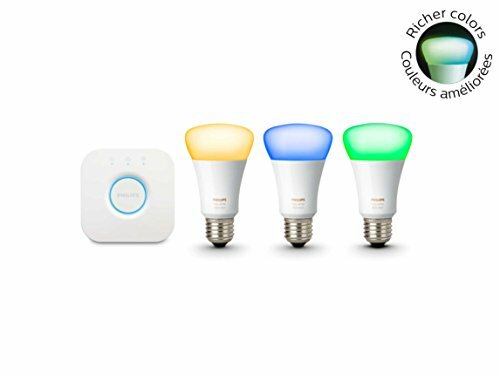 The Hue Ambiance Kit A19 is a great buy if you’re just getting started on your smart home ecosystem. 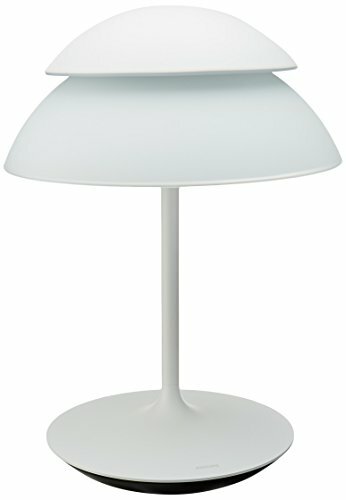 It comes with three Hue White and Color bulbs and a Hue hub so you can expand with more lighting later on. It’s a fantastic starter-pack to learn how to automate your smart lights using your Google Home. With the Philips Hue Wireless Dimming Kit, you can control dimming settings for up to 10 Philips Hue White lightbulbs. 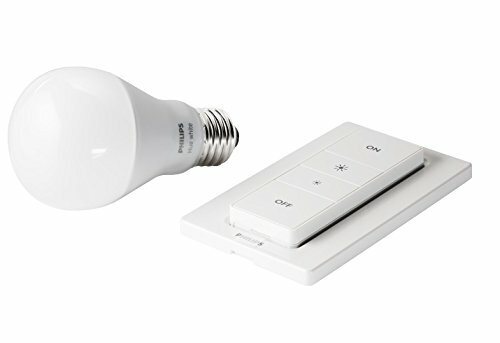 The Wireless Dimming Kit is actually a switch on the wall, but you can connect it to your Google Home so you can dim the lights using voice commands, too. Nest offers a variety of smart home products including security cameras like the Nest Cam Indoor and the Nest Cam Outdoor, but is better known for its innovative Nest Thermostat, which happens to work with Google Home. 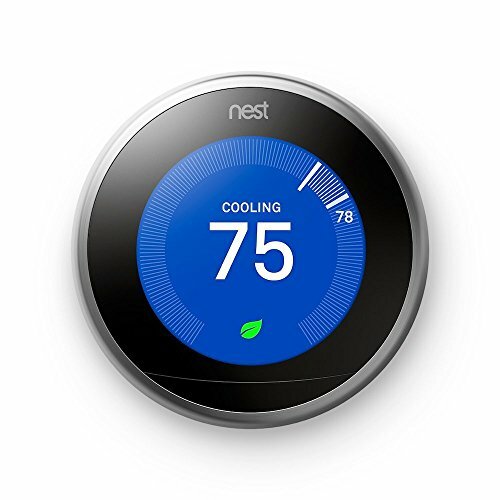 Nest makes arguably the most popular Wi-Fi thermostat available in the form of its Nest Thermostat Third Generation. Using both the Google Home app and Nest app, you can choose your own commands to control the Nest Thermostat with Google Home voice commands. Let’s say you want to turn down your thermostat before you leave. You can simply say something like “Hey Google, I’m leaving,” and it will use your predetermined settings to turn down your thermostat while you’re away. When you add smart devices individually, you may run into a maintenance problem. Each device runs separately through its corresponding app, and if you cherry-pick devices, you’ll accumulate a bunch of different apps that you’ll need to maintain. With SmartThings, Samsung has provided a single solution to smart-home maintenance, as long as you use SmartThings devices. This makes it easy to pair multiple devices at the same time to your Google Home using the Samsung SmartThings app. The SmartThings Hub acts as a brain for your smart home. 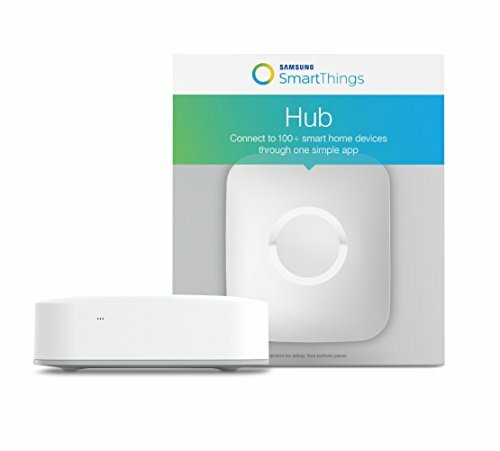 Any Samsung SmartThings device that you install will connect through the Hub, which you can control through the app or using Google Home voice commands. As long as you have the Hub, you can add on more SmartThings devices anytime you want. Samsung touts the SmartThings Home Monitoring Kit as “everything you need to start your smart home,” which is pretty spot on. The kit works as a great little starter pack and comes with a hub, two multipurpose sensors, a motion detector, and one outlet. Because the SmartThings Hub is included in the Home Monitoring Kit, you can add more sensors, outlets, or other SmartThings devices whenever you like. If you’re looking for a place to start, the Home Monitoring Kit will give you a perfect jumping-off point. 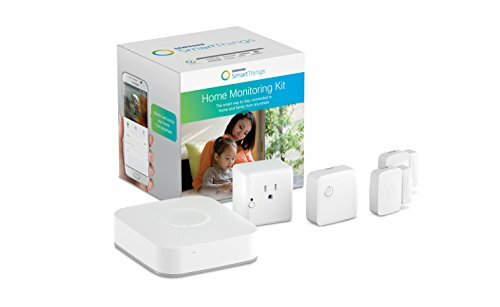 If you want to add more Samsung SmartThings individually, I’ve compiled a few more devices below. If you’ve looked through the list and aren’t sure whether Google Home has what you need, take a look at our breakdown of Amazon Echo devices. We compared the Amazon Echo, Dot, and Tap voice-activated digital assistants to see which is best. 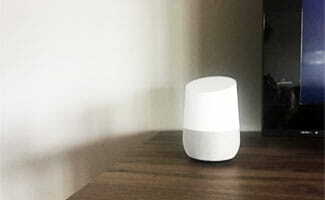 Do you have experience using Google Home or another voice-activated digital assistant? Leave us a comment below with your thoughts or recommendations.